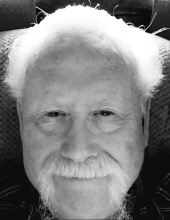 Longtime Alaskan and Kenai resident Stephen G. Peterson, 76, passed away Monday, Mar. 18, 2019 at Central Peninsula Hospital in Soldotna. Graveside services will be 1 p.m. Monday, Mar. 25, at the Soldotna Community Memorial Park. Pastor Steve Brown will officiate. Steve was born Easter Sunday, Apr. 5, 1942 at Scripps Memorial Hospital in La Jolla, Calif., the son of Preston C. and Josephine E. (Miller) Peterson. He came to Alaska in May 1952 with his parents and two brothers and lived in Palmer. He attended schools in Palmer and Wasilla, and he graduated from West High School in 1960. Steve joined Union Local 367 in his teen years. He enlisted in the United States Navy on Jan. 13, 1961. He was trained as an Electronics Technician and he worked on the USS Diachenko until he was honorably discharged on Jan. 7, 1965. Steve gave his heart to Jesus in the Spring of 1976. Shortly thereafter, he joined the Kenai Assembly of God on Princess Lane. He continued going to church and attended regularly at the Kenai New Life Assembly of God Church. Steve enjoyed gold prospecting during the summer months and studying electronics during the winter months. He used his knowledge in building a metal detector from scratch but had no luck after 23 winters. Steve was a member of Kenai New Life Assembly of God, U.A. Local 367 Plumber/Pipefitters in Anchorage, and a paid-up life member of the American Legion Post 20 in Kenai. He was also affiliated with the V.A. Healthcare System. Steve is survived by his two brothers, Dave and Ken Peterson. Arrangements were by Peninsula Memorial Chapel in Kenai. "Email Address" would like to share the life celebration of Stephen G. Peterson. Click on the "link" to go to share a favorite memory or leave a condolence message for the family.